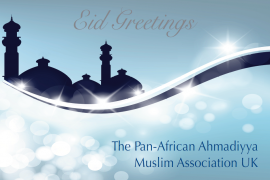 My Dear Members of PAAMA UK! It is with great humility that I write to inform you that Huzur Aqdas (aba) has most graciously approved my humble self as one of the speakers at Jalsa Salana UK 2014. 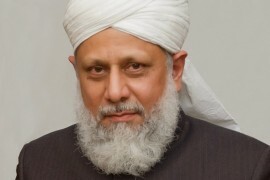 Where the Jama’at is blessed with a galaxy of eminent and eloquent scholars from around the world who are far more capable and qualified to address the international assembly of Jalsa Salana, it is indeed an honour of immeasurable proportions to be appointed by Huzur Aqdas as one of the only seven speakers other than himself. I humbly submit, however, that this honour is not just for my humble self and family; it is indeed an honour for the Pan-African Ahmadiyya Muslim Association UK! 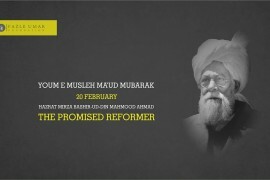 The topic allocated to me – A Review of the 125 Year History of Ahmadiyyat – shows the enormous confidence Huzur has once again reposed in me for it is such a pertinent and remarkable subject that I feel absolutely humbled and honoured my Beloved Huzur has chosen me for such an important and immense topic ahead of so many gifted scholars in our Jama’at. Now comes the most difficult and challenging task of preparation, execution and delivery of the speech. The topic is so vast that I know already it will be a monumental challenge to fit 125 years of glorious history and remarkable progress into a half hour speech. It is a task that can only be discharged through Divine grace and succour. 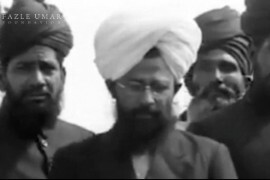 It is, therefore, my humble request and plea to you all that you support me with your earnest, fervent and continued prayers that Allah, in His grace and mercy, grants me the ability and aptitude both to write and deliver a speech that would do justice to my topic, that would be befitting of the august occasion of Jalsa Salana UK, that would bring honour to the Jama’at and PAAMA UK and especially a speech that would fully justify and vindicate the decision of Hadhrat Khalifatul Masih (aba) to appoint my humble self as Speaker. Jazakumullah. I look forward to seeing you all at the first General Meeting at 3pm on Saturday 10th May 2014 at Baitul Futuh. Once again, please note that this meeting is for all members including women and children. Subject to availability, we will, Insha’Allah, be joined by Respected Amir UK Sahib towards the close of the meeting after which dinner will be served to all. Allah bless you all and keep you under the canopy of His mercy and benign protection. Ameen.